The power of these two films is impossible to deny. Both films have been out for more nearly thirty plus years, both have extensive home video formats available. In fact, earlier in the day on Friday, as I walked through Sam’s Club, I saw the two films being sold in stand alone packages for a very moderate price. Last night, I ended up in the Stand-by line, hoping to get a seat to a screening of the films at the American Cinematique program at the Egyptian Theater. 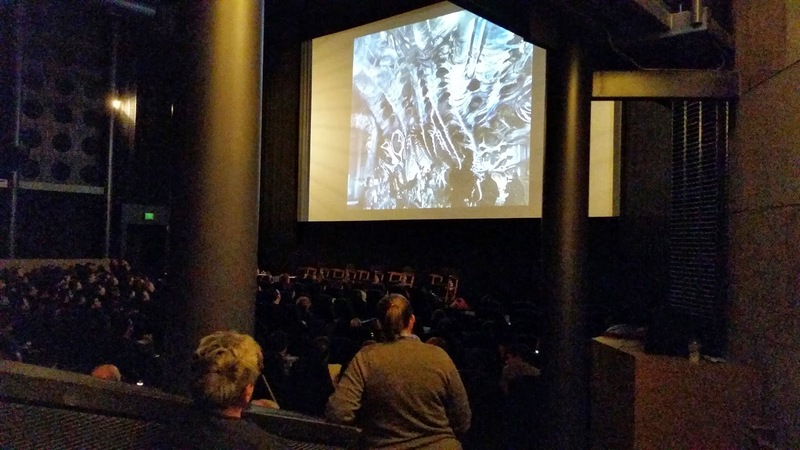 The program had sold out and the theater holds almost eight hundred people. Not bad for a couple of films that are older than my kids. I have met my daughter after work for screenings in Hollywood, several times before. She works in Venice and we live in Glendora. Those of you not familiar with Southern California topography simply need to know these are opposite sides of L.A. County and Hollywood is somewhere in between. Usually, I drive down to the Egyptian Theater but since I was free in the afternoon yesterday, I availed myself of public transportation. I took the train to Union Station and then the subway to Hollywood and Highland, where I walked the two blocks to the theater. 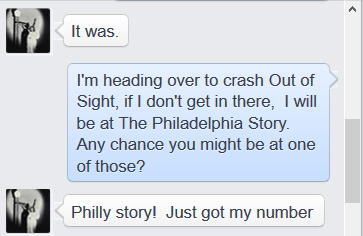 My phone rang as I entered the courtyard and it was Amanda, asking where I was. When I told her she asked if I was inside, because she did not see me, …for the two extra seconds that it took me to come around the corner. We had managed to simultaneously reach the box office from opposite ends of the world. Timing is everything. It was then that we discovered the movie was sold out and we waited in the Stand-by line. There were about thirty of us and several people bought tickets from others who had extras. That is finally how we got in, and ended up a little closer than we might have chosen otherwise but still in seats that were very workable. The films were introduced by a guy from an effects based organization, I was negligent in getting his name or remembering the name of the group. Several seats were up front and it turns out that at the break we would be treated to a behind the scenes slide show of photos from the production of “Aliens” by some of the effects wizards behind the movie magic. So it was definitely something to look forward to. 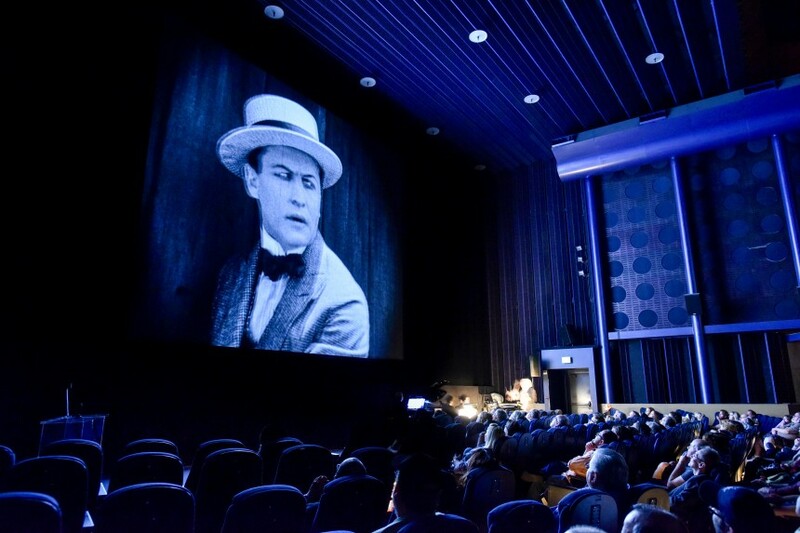 Our host asked the audience how many were seeing these films on the big screen for the first time, and I was surprised to see the hands of nearly two thirds of the audience go up. He shook his head and wondered out loud where all these people have been for the last thirty years. Anyway the films then began. It is a great experience to be able to contrast the styles and moods of the two films from a single screening. “Alien” is atmospheric and moody and builds a sense of tension slowly. 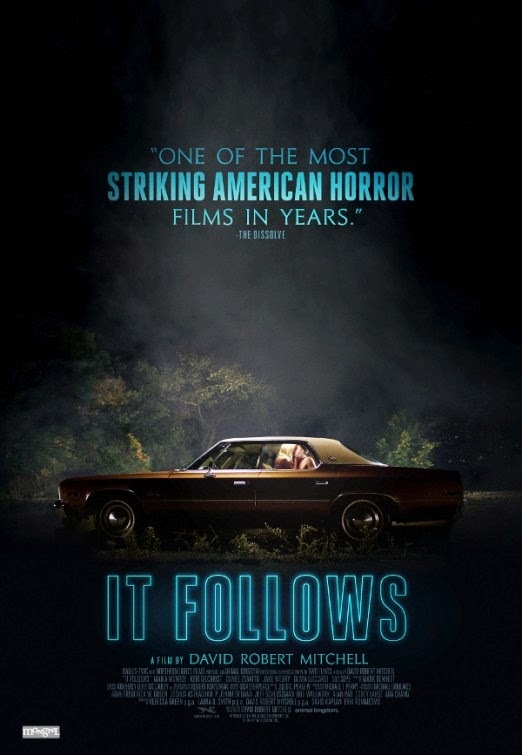 It is a horror film, but one that is smart and creates suspense deliberately and with a dark style. This is the same theater where I first experienced the movie back in 1979 and it was fun to tease Amanda with that information, she gets tired of my nostalgic ramblings sometimes so it is a dad’s privilege to annoy a child with useless personal trivia from time to time. If you click on the image of the poster, it will take you to the original post I did from the Movie A Day project back in 2010. The guests presenting the slide show between the film were quickly introduced, and I got only two names for sure. 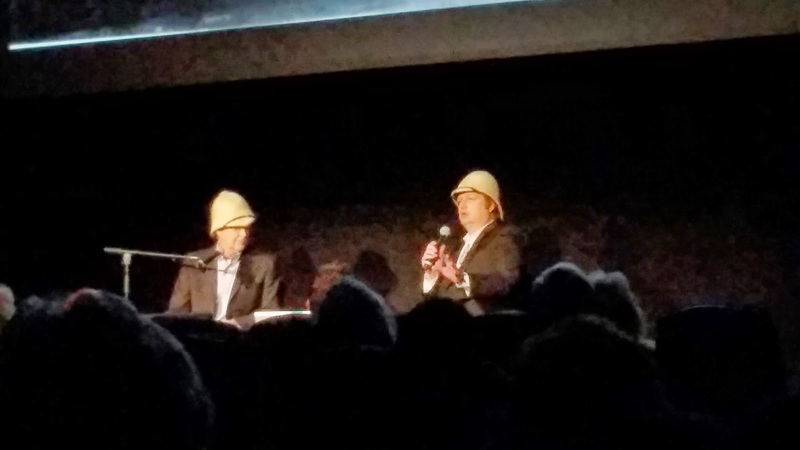 They were the Academy Award winning brothers Robert and Dennis Skotak, and they shared several personal memories about the making of “Aliens”. 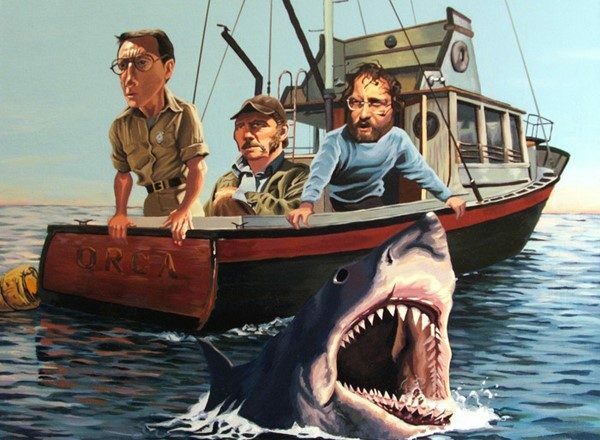 Digital computer work was mostly new when they made the film with James Cameron. They had honed their craft working on Roger Corman films like “Battle Beyond the Stars” and “Galaxy of Terror”. Several of the pictures they shared showed them and young Mr. Cameron behind the scenes of those very modestly budgeted films. It was their experience on those pictures that allowed Cameron to make the film on the scale he envisioned for a budget almost half of what Fox thought it would need to be. In fact, that is why he got the job. 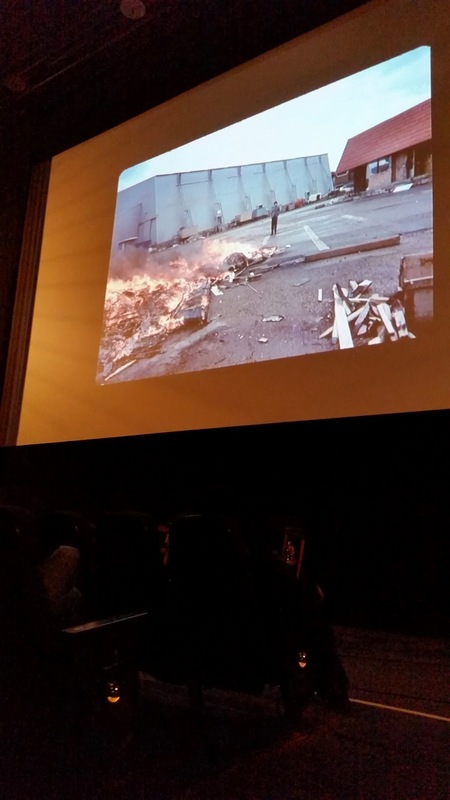 This shot taken from my seat shows how some of the props and sets were destroyed after the filming, because Pinewood Studios would charge a storage fee if they were left on the lot and sending them all back to Hollywood would have been too expensive. Film geeks everywhere will mourn the fact that the sleep pods from this film are not collectibles that they could buy on ebay and then put in their own bedrooms. Like the special features programs on the home video versions of the films, last night’s discussion was filled with little details about the techniques used and the problems solved during filming. The secrets I heard about the loader that Ripley uses to battle the alien Queen at the end of the movie were really cool. The fact that Cameron himself designed the Alien Queen because they could not afford to hire H.R. Giger to do the job was also interesting. The presentation went on for a good thirty or forty minutes. There were some other tech guys speaking as well and I am so sorry that I was not taking notes and can’t give them the credit they deserve for the work they did on the film and the kindness they showed for coming out lat night. “Aliens” is a different creature than the first film. It has horror elements but it is basically an action film set on a different planet. The scenario and the look of the weapons are probably responsible for much of the design of modern video games like Halo. This is a shootum up in outer space. It does have a wonderful central spine concerning the relationship between Ripley and the young survivor Newt. The pacing and the music are two ways that the films are distinct. “Alien” unfolds slowly with a ethereal electronic score by my favorite film composer Jerry Goldsmith. James Horner’s much more bellicose, Academy nominated score, is a perfect fit for the action beats of the film and the G.I. based plot. The humor in the film is often provided by the Marine mentality of the troops versus the corporate thinking of Paul Reiser’s Burke. Bill Paxton provides fantastic comic relief and if you look at the mashup I included in my post on an “Aliens” screening from a couple of years ago, you will find it a great contrast to his character in “Edge of Tomorrow“.Again, if you click on the poster to the left, it will take you to the Vlogpost that I did on this film, if you have twelve minutes , I think you will enjoy. One final note, Sigourney Weaver became a star with her role as Ripley in these films. She is the strong foundation on which these stories are built. She deserves all the credit she can get for making these two films favorites of movie fans from around the world. Pretend the other films in this series don’t exist and you will have a perfect pair of bookends with these two movies. I can’t say I am a big fan of these films. I saw the first one when it came out and did not return to the series until the previous film, Furious 6. That film had a convoluted plot, brought back a dead character, and pushed the limits of what is believable in a car chase film. Somewhere along the line the gang of criminals featured in these stories became the good guys and they now are working as intelligence operatives because they pissed off the wrong people. I don’t buy a second of any of it, but watching it was not annoying in any way and if you are willing to give up any sense of realism, recognize that gravity and physics don’t mean anything to making movies any more, than there are worse ways to pass a couple of hours. Vin Diesel and crew are the continuing attraction. They race cars manically and they take dangerous stunts to the ultimate level. 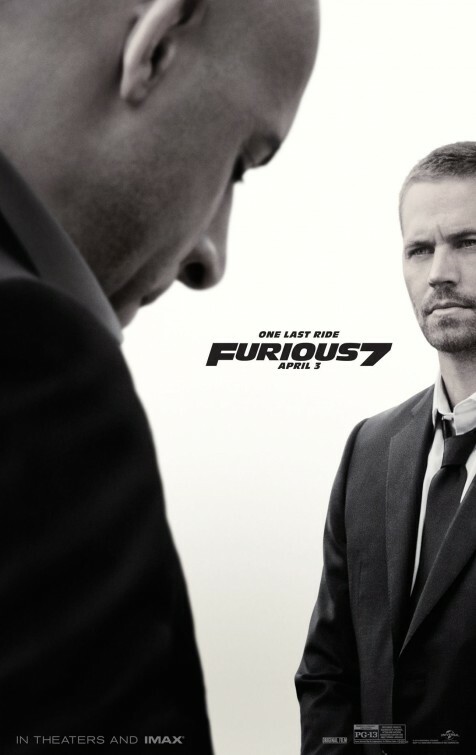 Paul Walker’s death in late 2013 delayed this film as they had to create a way to tell the story with bits of his role that had been filmed and plug in spots where there was no footage to work with. I guess you could spend the time playing “spot the CGI double” but that is too much effort for such a weightless film. To me, the two best things the movie has going for it are reliable veteran film tough guys, Kurt Russell and Jason Statham. “Handsome Rob” is playing the villain here. He is an unstoppable tornado of violence that kills at the drop of a hat. It looks like in the introduction there is already a body count in the dozens and the movie is just starting. I like Statham as a tough guy and he is appropriately menacing in this, however, he is much like one of the vehicles that gets thrown into the story, indestructible because it would slow things down. His character shows up in places that he has no reasonable ability to be and we never see any planning from this bastardized version of James Bond. The most elite military teams in the world can hit him with a single shot despite the presence of dozens of high tech weapons. He is a cardboard bad guy made to a boogeyman that is hard to enjoy. Mr. Russell shows up as a surrogate for Dwayne Johnson’s F.B.I. agent. The Rock’s character is sidelined early on but he did get a nice fight sequence with Statham and he picks up a big machine gun at the end of the movie and does the best impression of Arnold Schwarzenegger ever. Kurt is cool and smarmy and gets involved in only one real action scene and it is the most believable character arc in the story and it is ridiculous. Just having him swagger in and smile is worth whatever they paid him and I would not be surprised to see his character pop up again if the series gets another film, which given the box office seems inevitable. In a movie assembled from action pieces, strung together by oversimplified spy tropes, and depending on dialogue written as if it is going to be delivered in a big balloon over the characters head, the cast does what it can to sell the emotional components of the film. There is a nice epilogue with Paul walker that seems to be a fitting goodby to their co-worker. Now it is time to get back to work, crank out another one and make another couple of billion on the shallowest movie franchise this side of “Scary Movie” parodies. The cheese is laid on thickly, and it goes down quickly and will not upset your stomach too much. It is not hard for me to see why a lot of attendees at this years TCMFF would be scratching their head over the inclusion of a film that is only seventeen years old. George Clooney and Jennifer Lopez continue to make films and it is a little hard to think of them as “classic” movie actors at this point. They reek of contemporary status. The answer turns out to be pretty simple and it was also the main driving force in my selection of this film for viewing on the last day of the Festival. 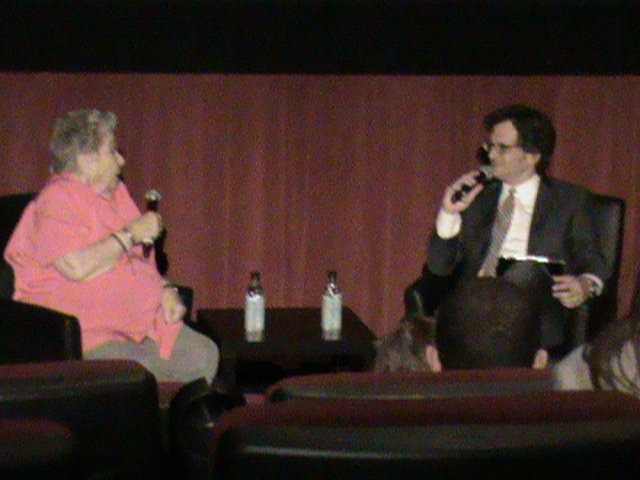 Anne V. Coates identified it as one of her favorite films that she worked on. Anne Coates has worked as an editor on films since 1952. That is more than sixty years in the business. That makes her the classic element of the selection. If you still have doubts let me dispel them with one title: “Lawrence of Arabia“. That’s right, she edited the greatest epic film of all time and won the Academy Award for doing so. She has been nominated four other times for her work including the current subject, her collaboration with Steven Soderbergh. This was a very creative process that included some interesting choices. There are dramatic freeze frame moments that are not based on an action beat but instead serve the character or the emotions of the moment. A dream sequence is flawlessly inserted into the narrative, mixing both the reality of the plot and the fantasy of the romance. The screenwriter, director and editor all managed to fashion an effective flashback structure that is interesting without becoming too confusing. 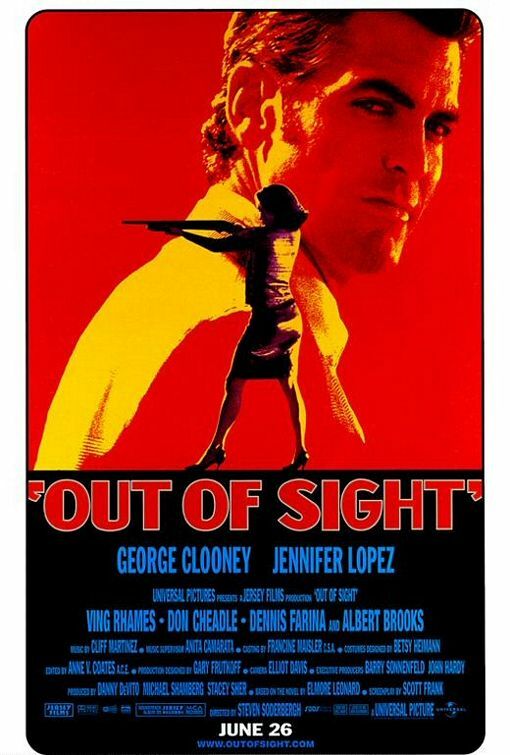 “Out of Sight” may be best remembered for the performers, especially the sequence with Clooney and Lopez in the trunk of a car, but it will be studied by film students for the creative story telling and the innovative editing choices made by the film makers. I’d skipped the screening of “Lawrence” to be able to go to the “Dawn of Technicolor” presentation. I have seen Lawrence on the big screen a number of times in recent years, in fact it is a bit of a mania around our house. The pass that i chose also left me out of the hour long conversation that was scheduled, but her speaking at this screeening would give me an opportunity to hear from one of the greats in the industry and it was worth the extra fee i had to pay for the non-included screening. While Host Ben Mankiewicz seemed to delight in the seeming inconsistency of Miss Coates editing both “Lawrence of Arabia” and “Fifty Shades of Grey”, she treated all of her own work with some degree of respect. She seemed to recognize that the salacious “Grey” and silly “Masters of the Universe” were just pulp product for mass consumption, there were still choices to be made. She believed that the film of “Fifty Shades” is better than the book ( a claim I think everyone will probably agree with) and she hinted that the movie could have been much more explicit, prompting Ben to say he looks forward to the extended cut on home video. I’d like to add one delightful side note on the screening if I may. 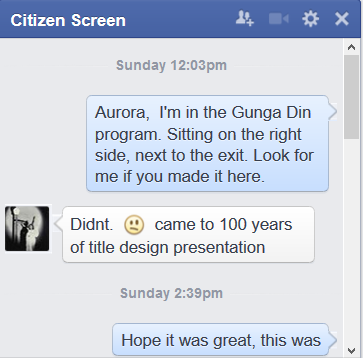 During the previous activity down at the Egyptian Theater, I’d messaged one of the bloggers I was trying to connect with, Citizen Screen (Aurora). Here is a breakdown of our contact. That’s right, standing in the back of the Standby line for Out of Sight, I looked down on the very long line of people waiting to get in, and there was an enthusiastic woman waving up at me. I waved back and smiled broadly having finally connected in at least one way with my colleague. I was clearly not thinking like a film maker at that moment, because a photo of her wave would have been a nice capstone for this post. Hi Aurora, it was fun seeing you. 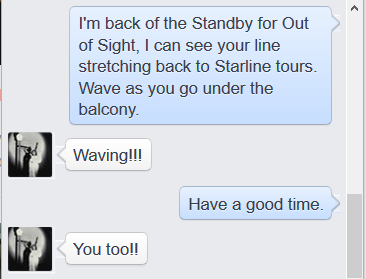 We should wave at each other again next year. The second day of the festival, I saw the 1975 classic, The Man Who Would Be King. 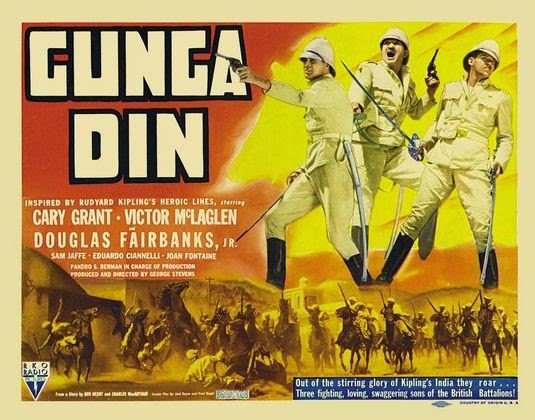 Thirty-six years earlier, in the greatest year of Hollywood, 1939, this Adventure film, also based on a work by Rudyard Kipling debuted. It is the cinematic grandparent of the second film, filled with comedy, daring do and adventurers who are sometimes more motivated by their own greed than anything else but who are loyal to a fault. This movie is one of the great classics of the golden era and seeing it on the big screen at the Egyptian Theater demonstrates why. Craig Barron is an Academy Award Winning Special effects guy and Ben Burtt practically invented the sound effects awards of the late Twentieth Century. Best of all though is that they are movie fans. They treasure the classics and eat, drink and dream of the techniques used by the earlier generations to do the things that they do today. What especially drew me to this screening was the work that the two of them did the previous TCM Festival for my favorite movie, “The Adventures of Robin Hood“. 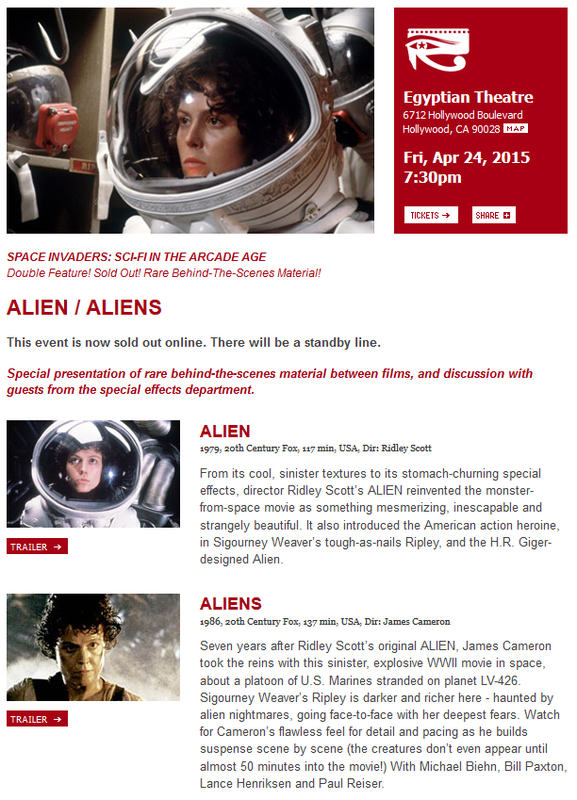 It is my hope that the video of that screening will someday be shown on TCM so that I can relive it. That was my first TCMCFF event and it hooked me completely. These guys know their stuff and they enjoy talking about it. It turns out that Cary Grant, Douglas Fairbanks Jr. and director George Stevens, all had home movie cameras that they brought to the set. What is really amazing is that some of those movies were in color. Our hosts frequently contrasted the images of a scene in the classic black and white film with the color shots of the same scene shot by one of the principals. It was a very unique look at the film. Just as they had done on “Robin Hood” they made a treasure hunt out of tracking down the original shooting sites of the movie. They matched up contemporary photos of the locations with the same location as it appeared in the movie. Sometimes there is a housing development in the spot where a scene was shot, but frequently, the locations remain unchanged. In fact there is one site that they claim an archeological dig would recover artifacts from the movie, including props and set foundations. Most of the movie was shot outside of Lone Pine, in the Sierra Nevada mountain range here in California. When I was a scout, Lone Pine was usually our last stop before we got to the trailhead that our ten days of back packing would take up. Today I’m afraid I would need to be able to drive to the location, and according to the two jocular hosts, you can actually do that. They showed a neat match of location with the suspension bridge used in the film and then the layered mattes and animation that gave the illusion of depth and movement. This video is not their work but it is similar to some of the things they showed. There were also some film clips of explosions that had been tested out and some comparative sound recordings that showed how the locations substantially increased the retort of the guns being fired during several scenes in the movie. One homemade film showed the complexity of a choreographed fight going wrong and when it showed up in the film in it’s correct form, everyone got a good laugh at what they had just seen. I hope to heaven that these guys continue to contribute to the festival in this way. It is the best mix of old and new Hollywood that I’ve seen here and there are dozens of movies with histories like this that deserve this kind of quality presentation. It would be a crime if these talks stayed in some archive somewhere and never get to take a walk out among a broader film loving audience. I’m not a carney so I don’t speak with an insiders view of that world, but my family was in show business. My parents trooped with a variety of vaudeville, circus and carnival acts. 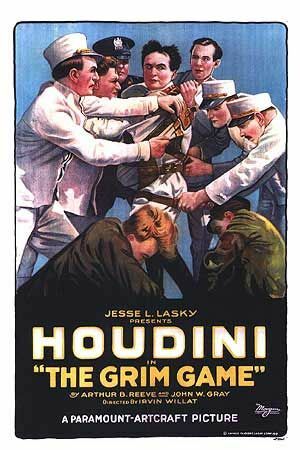 My Dad was one of those magicians that the boss at the last carnival in this film said are a dime a dozen. He was close friends with well known mentalist Glen Falkenstein and helped him with information about stage mentalism from a vast array of books and portfolios that he owned. So I do come to this movie with a little bit of knowledge, a natural curiosity and a vivid memory of early times I’ve seen it. 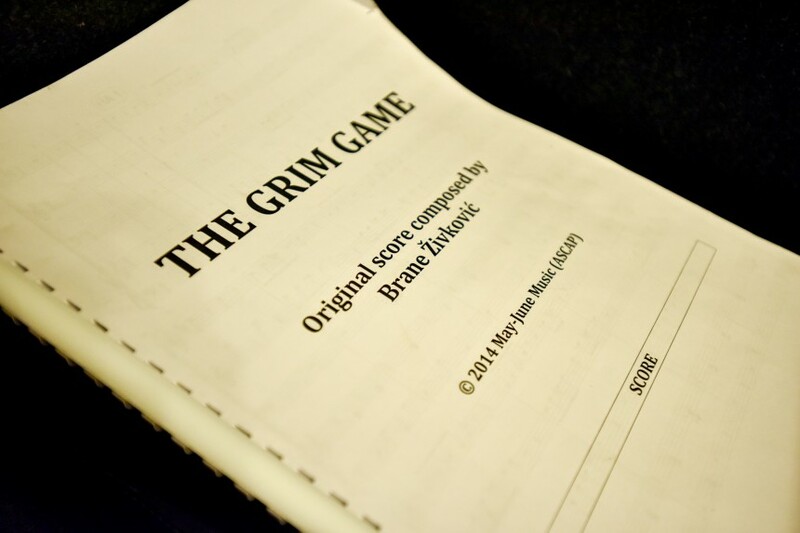 Classified as a film noir because of the dark themes, it fits into that genre in an unusual way. There is no murder investigation, the crimes that are being committed are fraudulent but don’t seem physically dangerous just mentally cruel. There is no private eye, police detective or amateur sleuth trying to solve a problem. Helen Walker fits the role of femme fatale but no one dies as a result of the machinations of Stanton Carlisle and her psychologist Lilith Ritter, so the label “fatale” would be a misnomer. Still, there is a crime element to the film and some of the darkest most unpleasant on consequences occur in the course of the story. I mentioned in an earlier post that a woman I ran into at another screening was dismissive of this film, preferring the book and really diminishing Tyrone Power as the lead. I thought Power was excellent. He comes across as a sharp guy with good heart, who can talk himself and just about everyone else into something not so good. Joan Blondell appears in a second of my TCM Festival films, I’d seen her on Friday in “the Cincinnati Kid”. Having packed a bucket load of 30s classics in her resume, she is a well known presence who is just aging out of the youthful roles she filled so often and is just right as the faded glamorous “Zeena”, the fortune telling mentalist that Stan sidles up to and manages to get a valuable secret from. 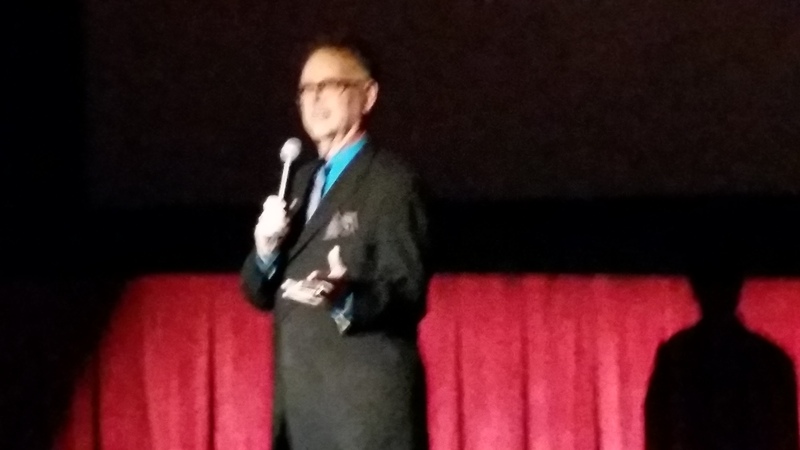 The host of our screening was Eddie Muller, the founder of Noir City Film Festival in San Francisco. He was enthusiastically grim when he described this as maybe the bleakest film noir ever. I was surprised to see that when he asked who was seeing this for the first time, three quarters of the house raised their hands. I will forever remember the line “You know what a geek is, don’t you”. Although there is another five minutes in the film, to me, that is the exit line that summarizes the whole film.